Montalbano's gruesome discovery of a lovely, naked young woman suffocated in her bed immediately sets him on a search for her killer. Among the suspects are her aging husband, a famous doctor; a shy admirer, now disappeared; an antiques-dealing lover from Bologna; and the victim's friend Anna, whose charms Montalbano cannot help but appreciate. 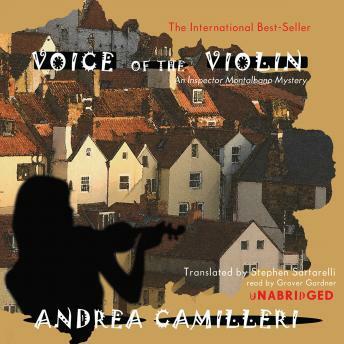 But it is a reclusive violinist who holds the key to the murder. Montalbano does not disappoint, bringing his compelling mix of humor, cynicism, compassion, and love of good food to solve another riveting mystery.